Thanks to minimally invasive dentistry, it is now possible for you to prevent most major dental issues from ever developing by getting treatments that ensure your teeth stay healthy. The easiest way a person can keep their teeth healthy is by practicing good oral hygiene. This includes brushing at least twice daily, flossing once each day and staying away from food, beverages and habits that can damage teeth. Regular dental cleanings are part of good oral hygiene. Dentists recommend getting cleanings at least twice each year, but it does not hurt to get them even more often. Cleanings help to get rid of tartar and plaque buildup on teeth. Plaque can be removed by brushing, but tartar (which is calcified plaque) can only be removed with a scraper. Regular dental cleanings also give the dentist a chance to examine the patient's mouth and ensure there are no developing issues. Getting teeth inspected regularly by a dentist goes a long way, since many serious issues like oral cancer are a lot easier to treat in their early stages. A dental cleaning does not just make a person's teeth healthier, it also improves their appearance, since tartar makes teeth appear yellow. This procedure is used to protect a patient's teeth from tooth decay. Most patients can get a fluoride treatment, but they are specifically recommended for those who are more susceptible to tooth decay. Fluoride treatments are normally available in gel or liquid form. The fluoride is usually applied to the patient's teeth with a mouth tray they bite down on for about 60 seconds. Dental sealants are an effective way to protect teeth that are difficult to clean, like the molars. The sealant is a thin plastic coating that is applied to the biting surfaces of the teeth that are being treated. The sealant prevents acids, bacteria and food particles from making direct contact with teeth, so decay is not possible. Sealants can protect teeth for several years, but they are most effective during the first year after application. A dental sealant can reduce a person's risk of tooth decay by up to 80 percent. Dental sealants can be used to protect any tooth and are one of the more affordable treatments. A deep cleaning can be very beneficial for anyone who has a higher risk of gum disease and its symptoms, like receding gums. The dentist uses a tool to remove tartar and plaque accumulation from teeth roots. The treatment normally takes about 45 minutes to an hour per quarter of the mouth, and a local anesthetic is often used to reduce any discomfort experienced by the patient. Deep cleanings are most effective when followed up with maintenance treatments every three months or so. 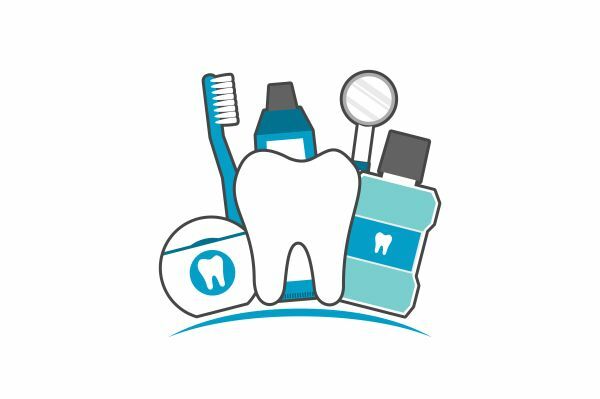 Taking good care of your teeth saves you lots of money and time down the road. It also helps you to avoid painful dental ordeals that tend to come at the worst time possible. Visit our Killeen office to learn more about the benefits of preventative dentistry and get treatments.